Rap and R&B royalty holds court with BET's “LADIES NIGHT,” starring SALT-N-PEPA (SNP), DJ SPINDERELLA and SWV. With a legacy spanning over three decades, Salt-N-Pepa has landed their biggest career accomplishment to-date, a Las Vegas residency. While simultaneously preparing for their opportunity of a lifetime, the trio has made the ambitious decision to launch the “Ladies Night” national tour in collaboration with SWV. The stakes are high and reputations are on the line as everyone scrambles to meet expectations and deadlines. We follow along as individual personalities, group egos, personal conflicts and professional obligations all take center stage to discover whether or not the ladies can push it to greatness together. 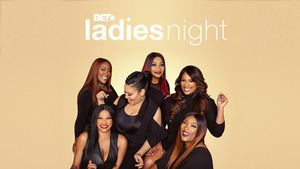 Tune in for the action-packed, drama-filled season of “LADIES NIGHT” Tuesdays at 10:00 PM ET/PT on BET and BET HER.